Delivered intensively during the week of April 29 – May 3, 2013. This intensive interdisciplinary seminar course will address place-conscious teaching and learning pedagogies. It will explore the various ways in which learning about place and within place shape students’ perspectives. 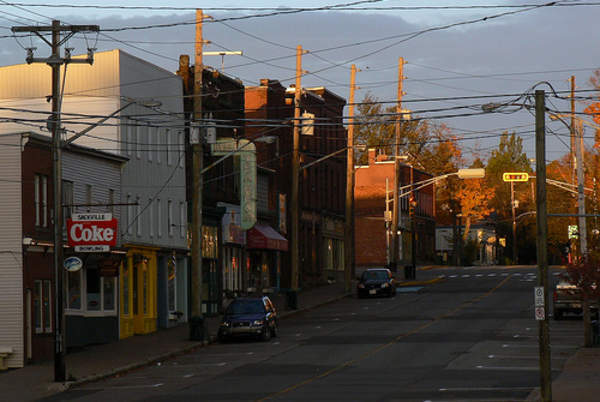 In response to recent discussions that focus on the importance of at the local level, students in this class will develop a deeper knowledge of the Sackville context as part of their undergraduate education and the role that community can play in the educational process. Evaluation: As this is an intensive course of just one week, students will be expected to participate fully in the sessions each day, as well as completing assigned readings and written work each evening. Short written reflections and group assignments will be completed during the day, as well as a longer assignment and learning portfolio due after the Institute class sessions finish. There will be multiple shorter written and oral assignments and many places for individual and group participation during the week. Open to students from all disciplines. Students interested in registering for this spring session week-long institute should contact Professor Michael Fox (mfox@mta.ca) or drop in: Avard Dixon Room 308.